When laying up your caravan for winter it’s important to make sure you drain down your water systems to prevent frost damage. It’s also a condition of our caravan insurance policy to drain down your tourer between November 1st and March 15th when it’s not in use to make sure there’s no danger of any water freezing and causing the pipes and tanks to burst. Sealed heating systems containing anti-freeze don’t need be drained but it’s advisable to check your anti-freeze levels annually. In this expert video we explain how to drain down your caravan. First of all you’ll need to find the drain down taps on your caravan. These are usually near your hot or cold water tank. Switch off and disconnect the water pump from your caravan. Open all the taps, including in the washroom and the shower, and then open the drain down taps near the water tank. With the drain down taps open, water should drain out of the bottom of the caravan. Empty and clean the caravan’s cassette toilet using fresh water and when all the water has drained down, operate the flush on your toilet to make sure all the water has been removed. Leave all taps open. If you have mixer taps open its halfway setting, between hot and cold. In the shower, make sure the tap is open and remove the shower head and place on the floor in a bowl. Spray Thetford Maintenance Spray, or similar, to the cassette seal to avoid corrosion or sticking over the winter months. Once the water systems are drained down, pour a small amount of non-toxic anti-freeze solution down the kitchen and bathroom plug holes to prevent any residual water freezing in the pipe’s U-bends. Some caravanners always drain down before towing as it helps to reduce the weight of your caravan and increases stability. Plus, the movement of your caravan on the road could help more water trickle out of the water system if the drain down taps are left open. 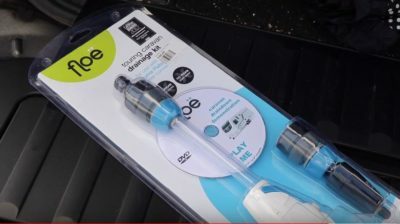 For those who love a caravanning gadget there are devices on the market, such as the Floe drain down kit, which use air to blow out any excess water from the pipes. Draining down is an important part of the winter checks you need to make on your caravan. Have you got any drain down tips to share. Feel free to add them in the comments box below. Hi I am new to Caravanning, and have followed my manufacture’s recommended details on winter storage, and find your advice is the same, thank you. I also use my air compressor with a air gun attached, to blast air down the shower head tube to get rid of any remaining water in the system, works a treat. Where can I get hold of some ‘non toxic antifreeze ‘. I drew a blank when I asked at the caravan and motorhome show! Or do I just use Vodka….. I would recommend dismantle inboard water pump filter,after drain down. 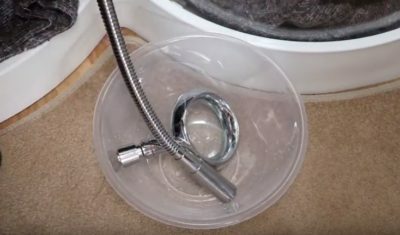 Place a small towel under to catch any trapped drain off. Thanks for the top tip Paul. very helpful will make sure toilet flushing is drained as well. thanks,i will renew my caravan insurance early 2018. Thank you and we look forward to hearing form you early next year. I always blow down through each of the taps to hopefully remove any water traps, which I suppose is the same principal as the floe kit. I’m not sure if it works, but it makes me feel better thinking that it does. Great to hear the system works well for your John. Thanks for sharing. I assume there is nothing extra to do for the Motorhome? It’s a very similar process Maryann. Make sure all water tanks are drained.